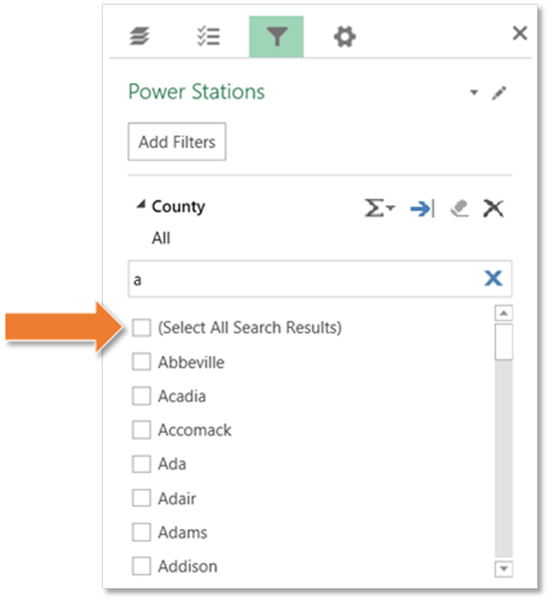 Today we announced the new Power Map December Update that includes improved performance for geocoding, increased accuracy for the Auto Fit feature in custom maps, and the option of selecting all items when filtering. For more details on how to use this last feature, check the official announcement at the Excel Blog. The filtering release back in September got a lot of great feedback, but the option of selecting all items at once was the most common request. Now you can do it clicking on the (Select All Search Results) checkbox. Power Map is part of several analytics and visualization tools in Excel that are available and updated monthly with an Office 365 subscription. More features are available with these tools, like searching corporate data, hosting real-time dashboards and sharing business insights with colleagues, when you sign up for Power BI for Office 365. If you have automatic updates enabled for your Office 365 subscription, you should receive this Power Map update soon. If you don’t have automatic updates enabled in Excel, go to File > Account > Update Options > Update Now.